When I started my blog almost 3 years ago, one of my goals was to try new things and grow from the experience. I think that I have accomplished this goal. I have definitely tried many things that I would have never thought of making before my blogging days. Some of the recipes were wonderful and they surprised me how well they turned out and then there were those recipes that I thought would taste wonderful, but fell short of what I thought they would be. This recipe is kind of in the middle of what my expectation was. The shrimp were just a touch on the sweet side and not quite enough spice to them. I wanted to share this recipe because this was a recipe that was easy to make and I am sure that there are many people that would enjoy it. The texture of the caramelized sauce was great, it coated the shrimp nicely. The next time I make this I think I will cut back on the sugar and kick up the spice just a notch. 2. In a 1 gallon Ziploc bag mix all the ingredients except the shrimp and lime. Once all the dry ingredients are mix together add the shrimp with the sugar mixture; seal the bag and shake to coat the shrimp with the sugar mixture. Place the shrimp in a single layer on the aluminum foil. 3. 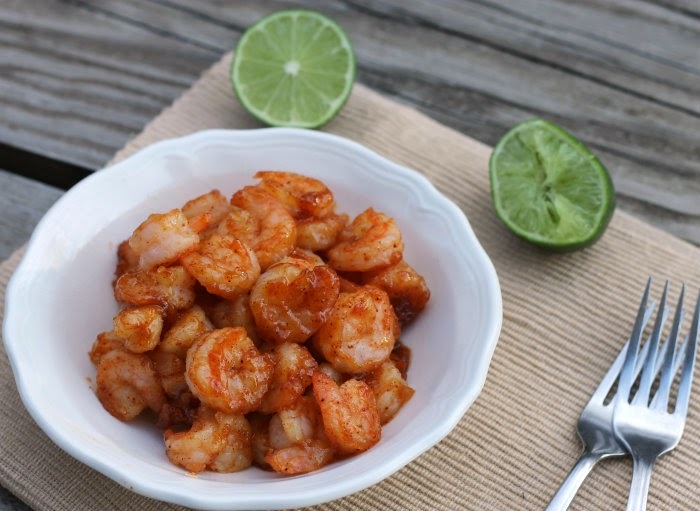 Bake 5 to 9 minutes or until sugar is caramelized (it will also depend on the size of your shrimp). Remove from the oven. 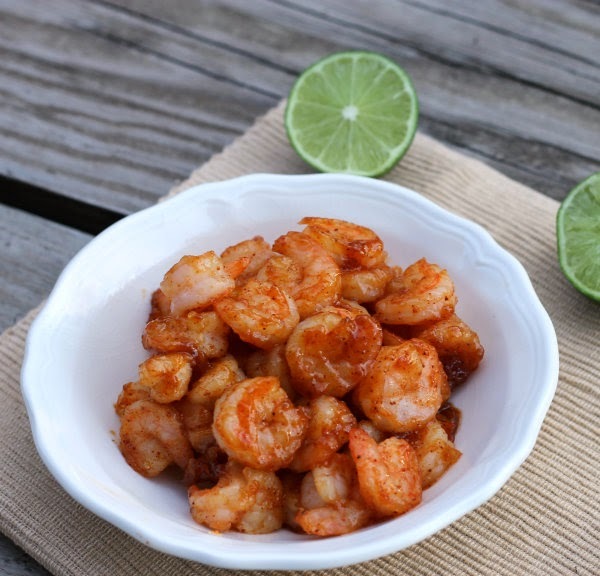 Using a spatula turn the shrimp to coat with the caramelized sugar; squeeze lime juice over the shrimp. Serve immediately. Hi Jeanie, I think that the flour helps so that the sugar and seasoning stick to the shrimp. I don’t usually cook gluten-free so I am not sure if you could substitute something else for the flour. Sorry for not being much help. I’m betting a little sriracha thrown on these would make them perfectly spicy! I agree, I’d like this recipe with more of a kick too. Glad you put your recommendations in this post along with the recipe. I enjoy the sweet and spicy combo. I like it to be a bit more spicy than sweet though myself. I love the inspiration that blogging gives to keep on trying and imagining flavors. Yum! They look delicious – great flavors!!! They look and sound really good Dawn! My shrimp loving family would make them disappear quickly. 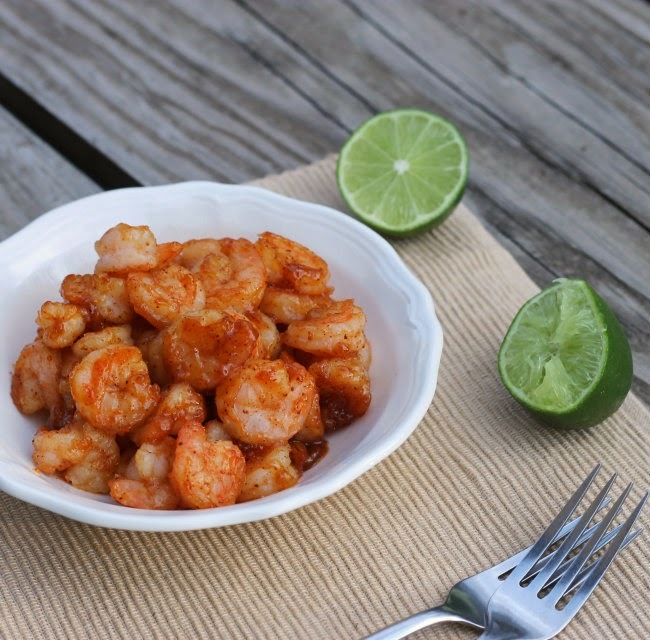 I love that they’re baked – you don’t often see recipes for baked shrimp.